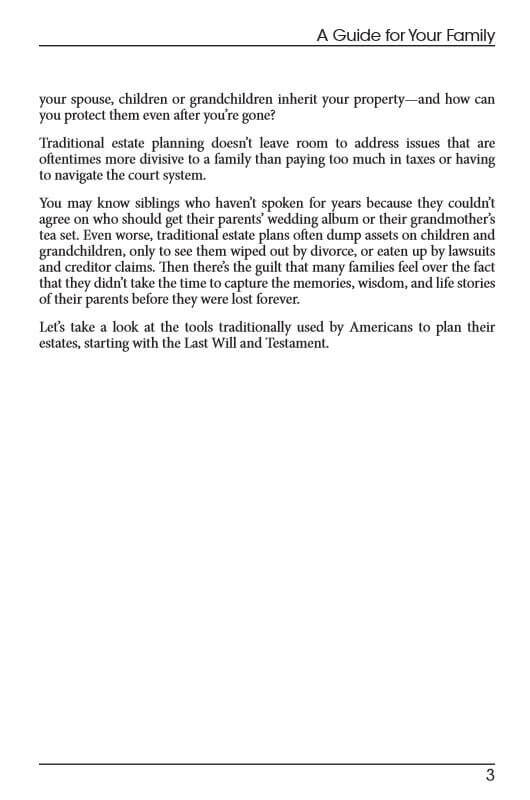 Conventional estate planning is inadequate to address the concerns of modern families. 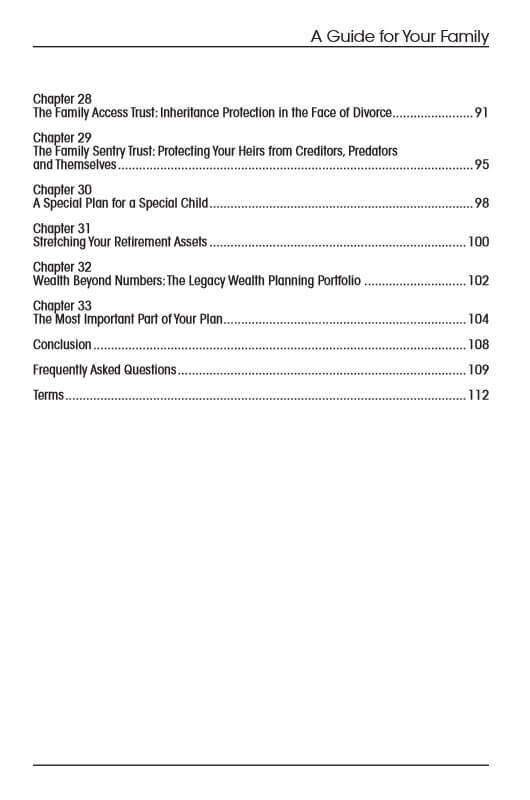 When you want to protect your loved ones and ensure your assets create the foundation for you to leave a strong legacy, it is necessary to go beyond the basics. How to create a comprehensive legacy plan that goes beyond preparing for the simple transfer of financial assets. How to prepare for nursing home care costs so your chance to provide an inheritance to loved ones is not lost if you become ill or experience age-related infirmity. How to provide for the special needs or unique circumstances of heirs or beneficiaries, including relatives with disabling conditions. 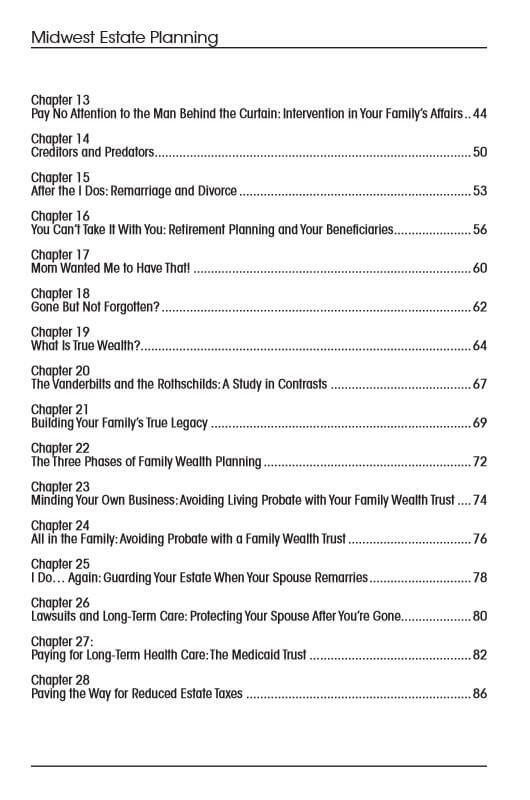 How to protect an inheritance you wish to leave to loved ones from common sources of loss including divorce, bankruptcy, and credit card debt. How to create a plan to ensure your wishes for your assets are respected, even in the event of the remarriage of a spouse after you have passed on. 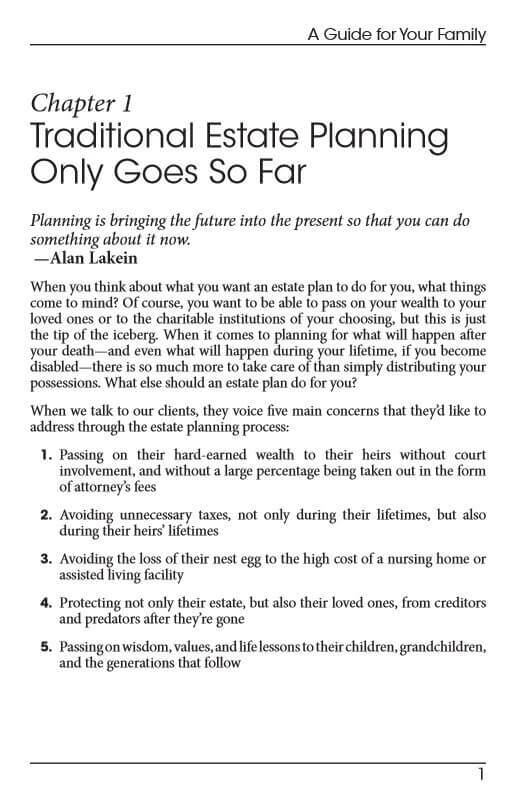 How to prepare for the impact of estate tax so you can maximize the value of an inheritance provided to loved ones. 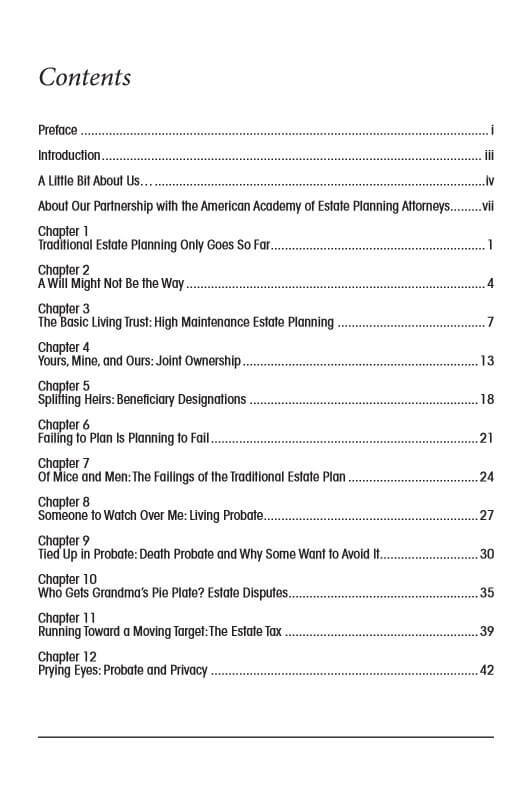 Midwest Estate Planning: A Guide for Your Family is a guide prepared with the realities of the modern world in mind. 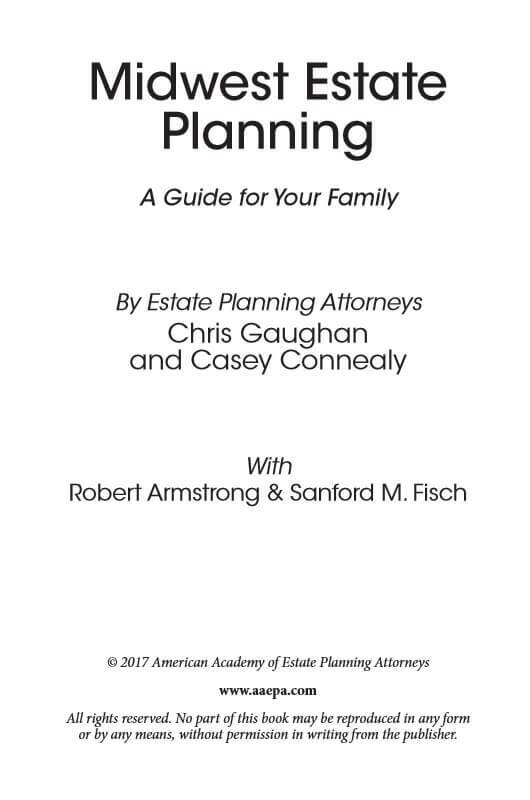 This guide will prepare you for making an estate plan no matter what your family looks like, whether you are married, divorced, or widowed. 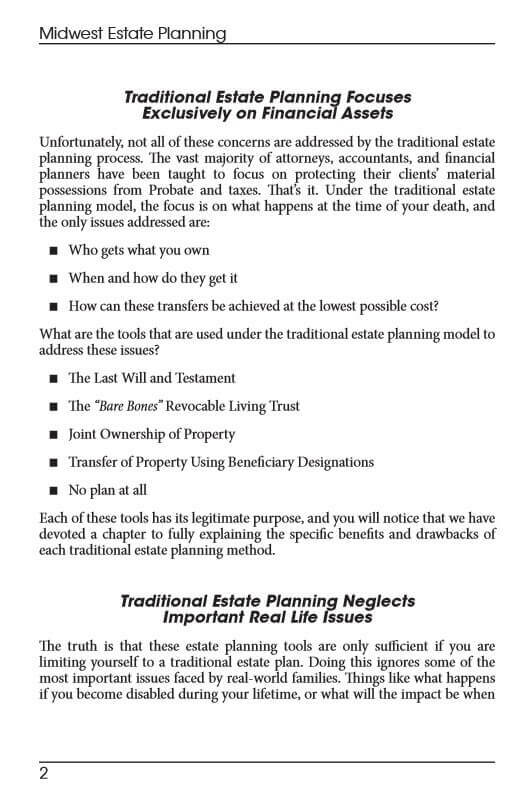 You will learn about common problems in estate planning, discover the most effective tools to use to create your desired legacy, and get the comprehensive advice you need to make plans to best provide for the people you love. 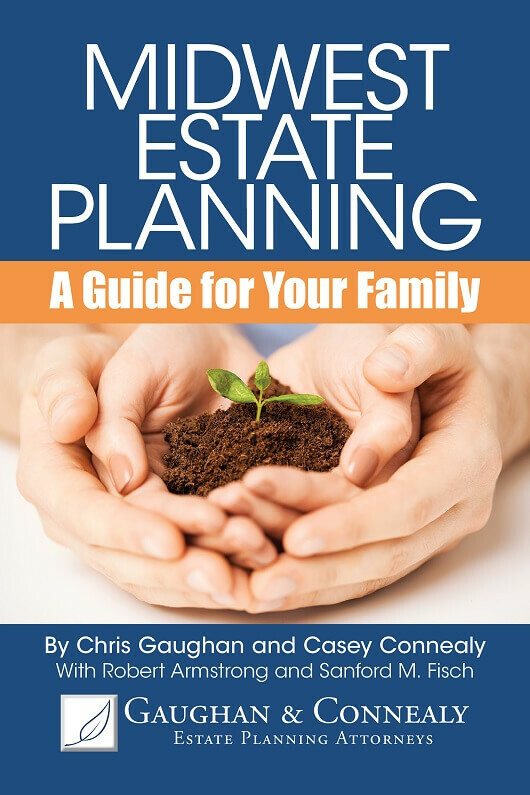 To order your comprehensive guide, call Gaughan & Connealy today at (913) 262-2000. 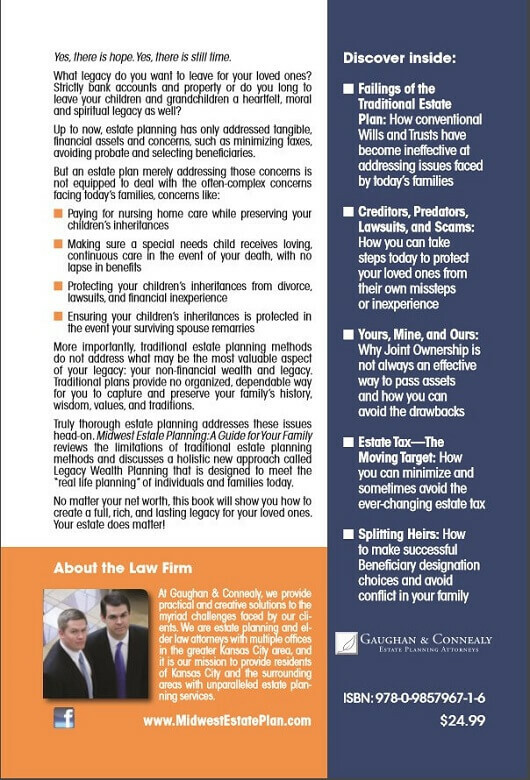 You can also use our online Contact Us page to request an order for Midwest Estate Planning: A Guide for Your Family.